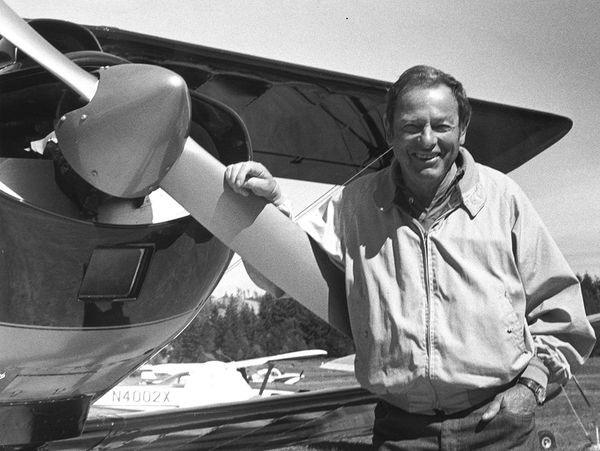 A happy birthday to the famed aviator and author, Ernest Gann. Gann was born in Lincoln, NE on this date in 1910. He learned to fly in the early 1930’s and by the end of that decade was flying DC-2’s for American Airlines. In 1942, like many American pilots, Gann was absorbed into the Air Transport Command to assist in the war effort. Gann would turn his adventures of flying into a second career as an author. He wrote over 26 novels, of which 21 would become best sellers. He also wrote the screenplays, adapting 11 of his novels for both film and television. When I first moved to Alaska, I came across my favorite of Gann’s books: Fate is the Hunter, and I gobbled up any of his books that I could find. 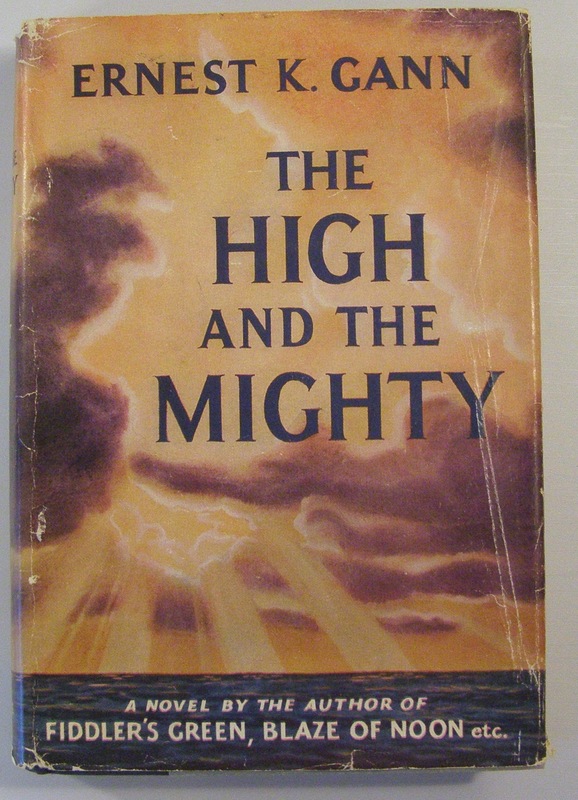 Some of his other literary works include: Island in the Sky, The High and the Mighty, Soldier of Fortune,and The Antagonists. Flying magazine lists Gann #34 on their list of 51 Heroes of Aviation. Ernest Gann died in 1991. 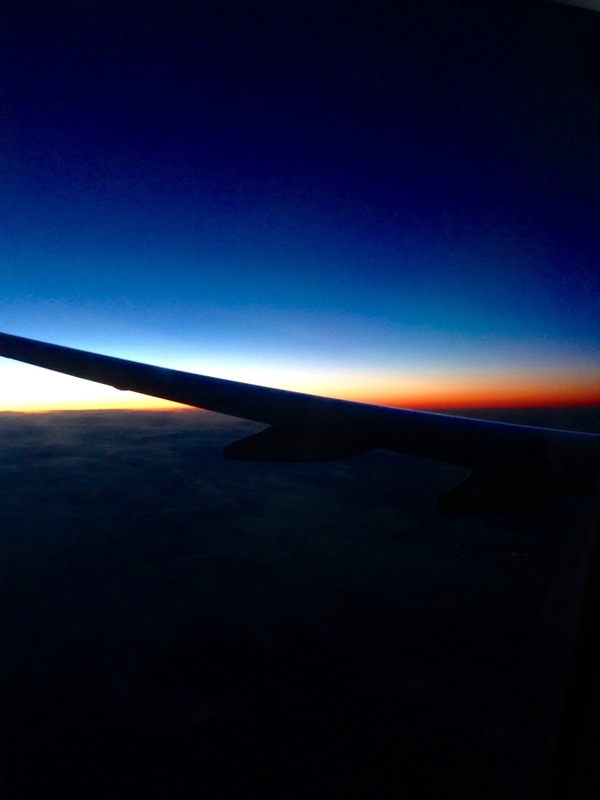 I was standing at the conveyor belt holding my hiking boots in one hand, while my laptop still lay in a plastic tray. TSA: Is that a large, empty, glass bottle? Me: I nod. It’s a growler. Me: It’s the only answer. TSA: Most people would say: ‘I don’t know what’s in the bag’. Me: That would be the wrong answer. 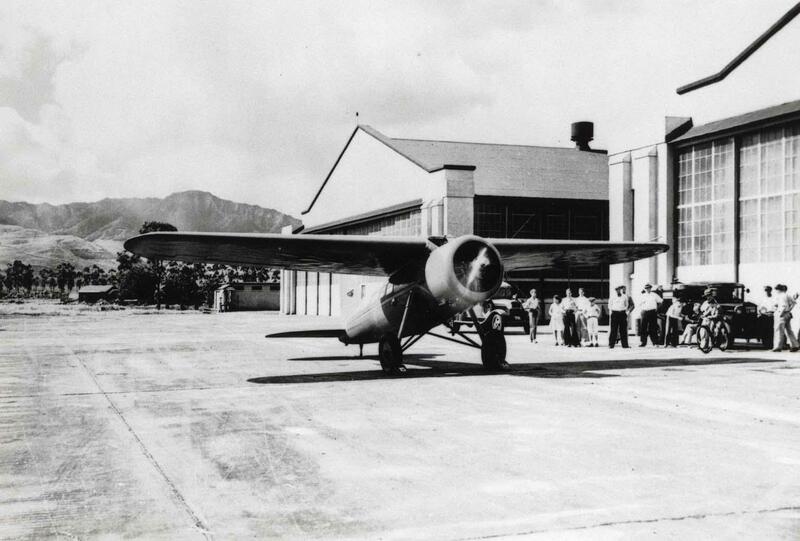 80 years ago today, Amelia Earhart left Wheeler Field on Oahu in Hawaii attempting to make the first solo flight to the mainland. The photo shows Earhart’s Lockheed Vega 5C warming up at Wheeler Field. Earhart is seated on the running board of the truck parked in front of the hanger. 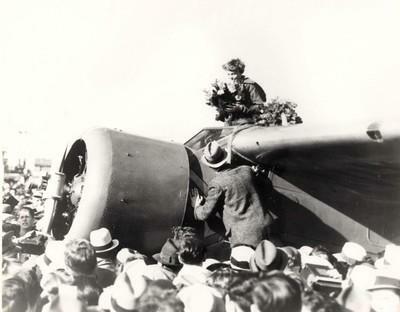 18 hours, 15 minutes after leaving Hawaii, Earhart safely landed her Vega in Oakland, California, becoming the first person to fly solo between Hawaii and California. 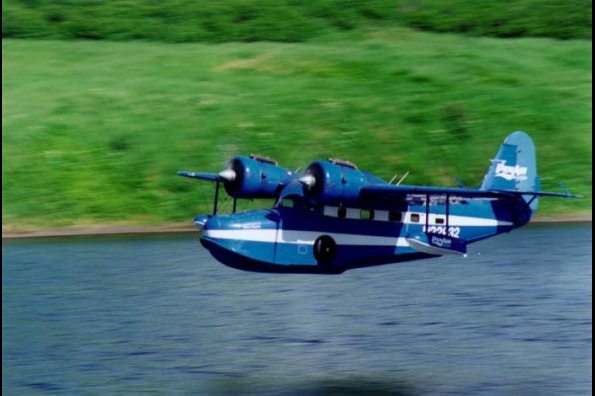 … it would be a Grumman Goose. 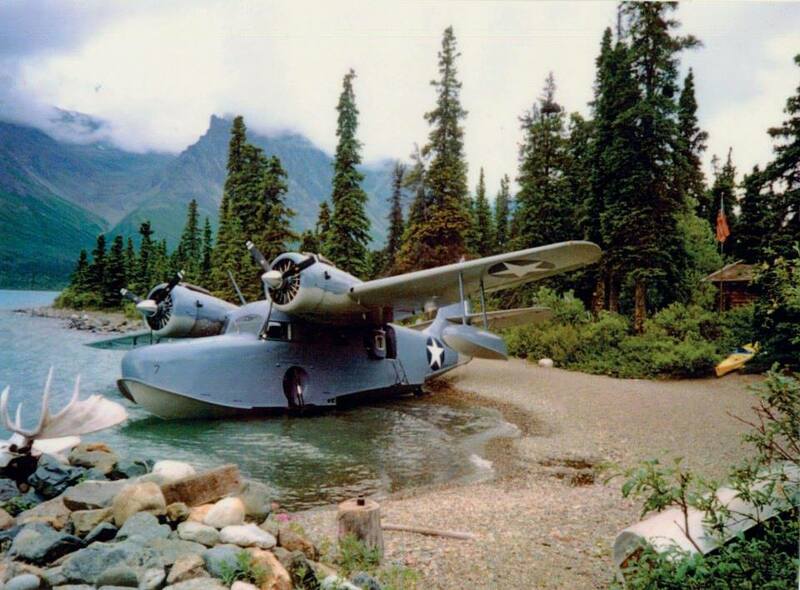 At the end of 2012, PenAir retired its Goose — The Spirit of Akutan II — which ended the commercial flying boat service in Alaska. Since 1977, PenAir’s Goose provided regular air service to the remote Aleutian community of Akutan, where the surf was too rough for the floats of more traditional seaplanes. 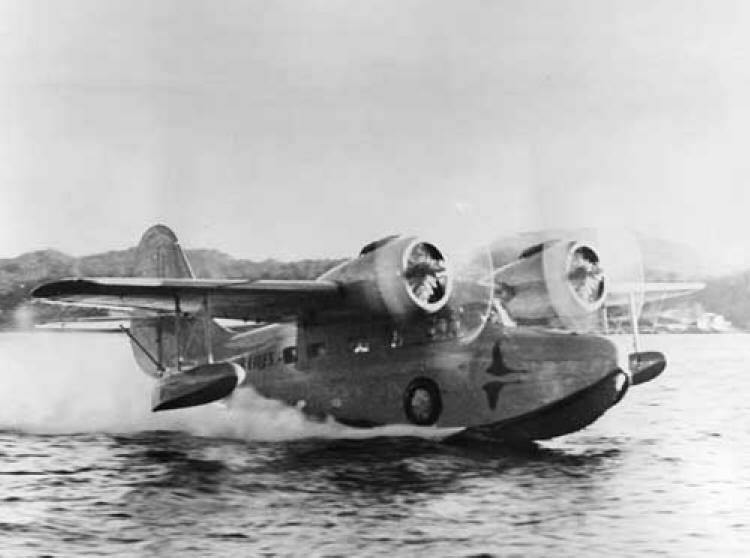 The Goose is a beautiful seaplane. With those twin 450 horsepower, Pratt & Whitney radial engines, you’d have no trouble getting your moose out. This absolutely stunning B-17 Flying Fortress, called the “Aluminum Overcast”, is touring the Midwest and East Coast giving both flight and ground tours. 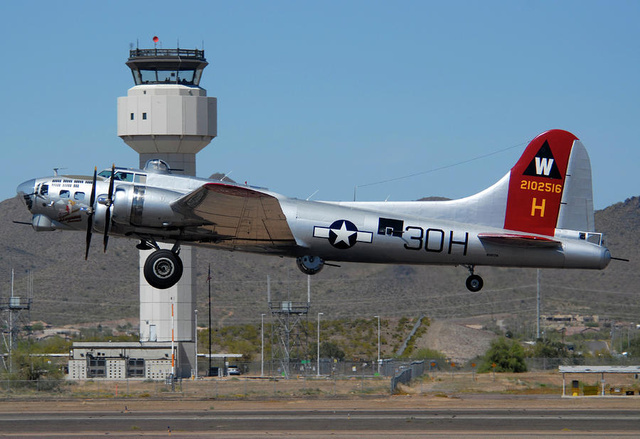 I’ve been in a B-17 a few times at air shows, but I’ve never flown in one. Unfortunately, the Aluminum Overcast doesn’t appear to be touring further west than Milwaukee or Springfield. 12,000 Flying Fortresses were maunufactured between 1935 and 1945. Of those 12,000, 5000 were destroyed in combat. Today 100 remain and only 13 of those still fly.